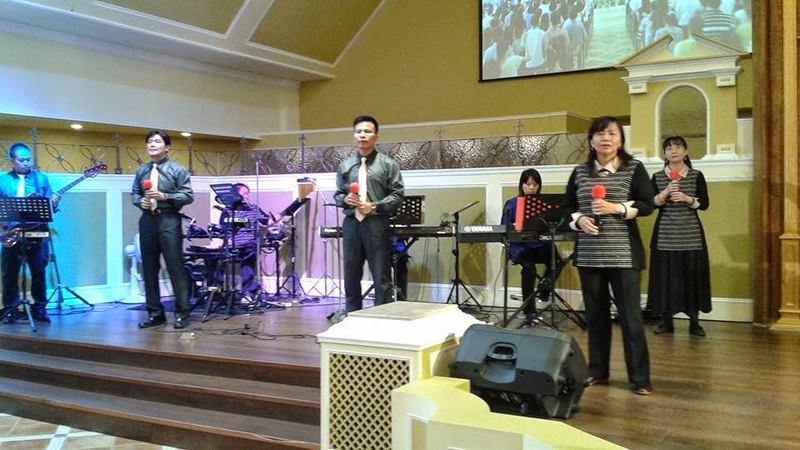 I began to preside over what is commonly called contemporary worship while serving as pastor of the Kaohsiung Community Church in Taiwan in 1994. 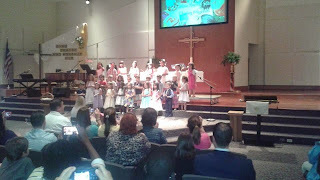 In New Jersey, I worked with Messiah Lutheran in Oakland, to start their first contemporary service in 1999. At Holy Cross we only have this type of worship. Probably the only things these experiences actually have in common is the lack of a pipe organ, the absence of hymnals, and the projection of lyrics on a screen. The earlier forms were keyboard based with larger groups of singers and often called worship and praise. Then it moved on to styles that had a more melodic pop song style (think Michael W. Smith), later percussion and driving bass moved in heavily influenced by U2, these days country, southern rock, folk and roots music have also come into the picture. At Holy Cross today our songs come from artists such as Chris Tomlin, Matt Redman, and Hillsong. Songs that are very different than the Twilla Paris songs of the 1980's. This type of worship is always in flux as new styles come into being. As I attend our synod gatherings and meet with pastors I have always seen there there are lots of misunderstandings about this phenomenon. I will try to offer a clarification of the attitudes I commonly read and hear of. This is the number one insult I hear and read of, and frankly, it comes across to me as a merely an unreflective, dismissive, and disrespectful attitude used to justify one's own comfort with their prefered style. Many songs written in today's popular styles have wonderful and moving lyrics. A large portion of these songs such as Petra's We want to see Jesus Lifted High are just reworkings of the lyrics of traditional hymns (ie. Lift High the Cross) made fresh for a new generation. Often the artists are trying to combine their own love of a great old hymn with the newer forms of music they like to make. Chris Tomlin's Amazing Grace/ My Chains are Gone and When I Survey the Wondrous Cross/ the Wonderful Cross are great examples from a few years back. 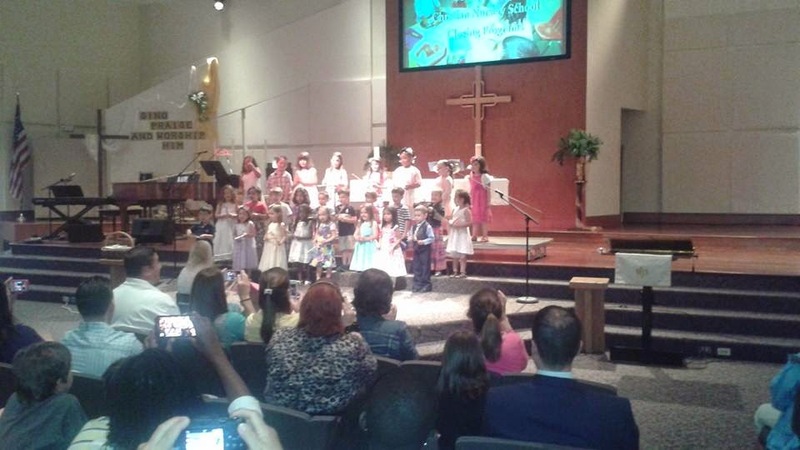 The fact is that lots of traditional hymns and songs have bad theology as well. So are there contemporary, or rock based worship songs with bad lyrics? Of course! Just as there are bad lyrics in medieval, baroque, victorian, gospel and other organ based hymnody. When one examines ancient Israel's songbook, the Psalms, one can also find words that one should not base doctrine upon. Don't believe me? Check out Psalm 137:9 imagine a congregation singing this. Hymns and Songs in my view are more akin to prayer than teaching and reveal the longings and yearnings of the community. At Holy Cross where I serve now, our Music Minister must work to get 4-7 instrumentalists to work in concert together every week. All songs are worked out to have multiple dynamics to to include the the entire worship team and better lead the congregation in song. The guitarists, keyboardists, percussionists, and others must come to rehearsal prepared in advance or else it does not work. I have been a member of various traditional choirs and choruses in my life and I can detect no difference in the amount of work involved to make good music whatever the style. Do some churches take short cuts? Yes they do, but lots of traditional church choirs just show up on Sunday morning and wing it too. Excellence is excellence, and it always takes work. Sometimes in the summer you will come to Holy Cross and only see three people up on the altar leading the worship songs. However, there are always two more on the balcony, one running the sound board another operating the media software. Right now most Sundays we have 4-5 on the balcony and 5-7 up on the altar, so that is 9-12 people every Sunday. We also have a scripture leader, a prayer leader, a person to lead announcements, and 5 people to help with communion distribution. Like most churches we also have a couple of ushers to help with the offering. Doing the math that is is 19-21 people in addition to the pastor engaged to help make worship happen for a mid sized Lutheran congregation. Engagement of a good percentage of people to help lead worship is not dependent on a particular style but on the intention of the pastor and church leadership. My experience over the years has been that it is harder to find effective traditional music ministers than effective contemporary worship leaders. 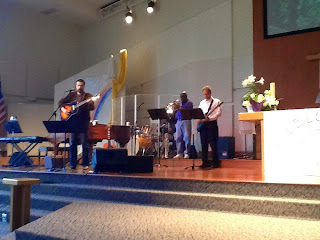 I have found that it is relatively easy to find competent guitar players from within the congregation. One can often find keyboard players relatively quickly as well. The most difficult to find have been effective percussionists. In every congregation I have served we have had someone who played in a rock band, or had learned guitar or drums and was able to come forward and share their gifts. These people are in our congregations right now with these gifts untapped, it would be sad if we couldn't find ways to engage them. Contemporary worship works best when it is firmly grounded in the congregation. When people from within the congregation are raised up to help lead the songs and make worship music, then the worship will have an authentic voice for the congregation. It will be "the work of the people" or a genuine liturgy. Any worship style brought in from the outside or imposed from above by arbitrary authority will work against this. 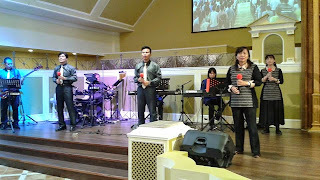 Great worship works best from the bottom up, the congregation brings its best to the glory of God, if a traditional style does that for you, praise God! 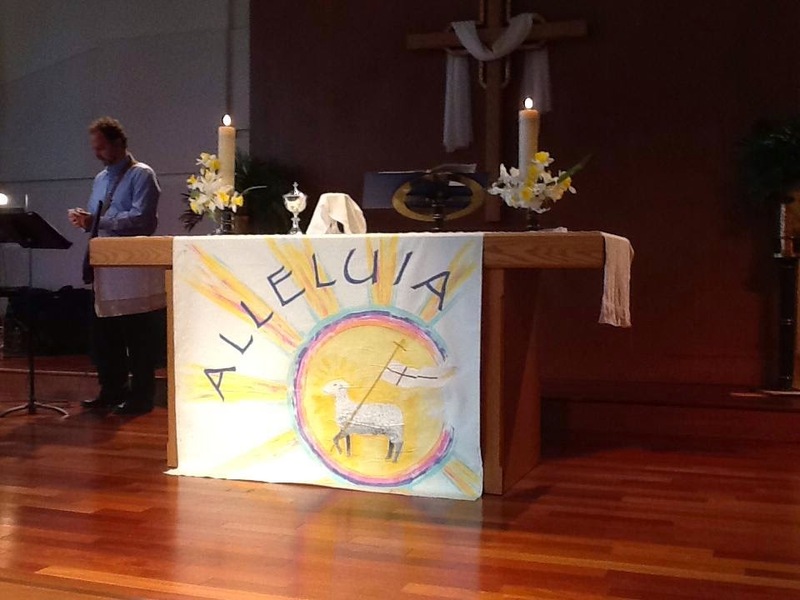 The contemporary worship services in Lutheran congregations I have served all have had weekly communion. We have always had a weekly rite of corporate confession, we confess the Apostle's Creed, proclaim the Great Thanksgiving, use the time honored Words of Institution. They may not be in the same order as they were in the 1970's but the pieces of our tradition are all there. The format we use allows for an expanded time to proclaim the Word through the sermon. We have also tried to use technology including electronic presentations (PowerPoint & MediaShout), film clips, podcasts, and streaming video to enhance our proclamation of the Gospel. It helps us reinforce the message to those attending, reach those virtually who are unable to attend physically, and help both dig deeper by having the sermon on record for review. One of the things I really enjoy about contemporary worship music is that it more closely resembles the music I listen to for fun. Our current music minister leads our team in a style that resembles the alternative music I might hear on WFUV or WXPN (alt-rock radio stations in my area). This serves a useful purpose for me; it helps bridge the gap between secular and sacred in my own life. It helps me to see that all of my life is holy. This should not be an alien idea to Lutherans (or other Christians). Luther himself used popular forms of music as tools to write hymns to help lead congregations in song. Ulrich Leupold writes in the introductory section of Luther's Works Vol. 53. Luther translated the Mass into the vernacular, he made the Bible available to the people in the plain German language spoken at the time, and he used popular music to enhance worship. I would argue that those who endeavor to use popular and contemporary forms of music are trying to do some of these same things that Luther did himself. So there is no reason why would can not have faithful Lutheran contemporary worship. In fact, some young people actually prefer traditional worship and old style hymns, on the other hand, we have had people in their 70's specifically come to Holy Cross because we have contemporary worship music. The early baby boomers are approaching their 70's and many of that generation were instrumental in leading the church to embrace these more contemporary forms. At Holy Cross we have a wide variety of ages that embrace our style, just as in the churches with traditional formats have wide varieties of ages embracing theirs. This is patently false. Churches that are alive and vibrant communities centered on the Gospel will have a worship that resonates and reflects the community gathered on Sunday. Many vibrant churches will use traditional forms, others will use contemporary ones. The keys for vibrancy are: passion for the worship the congregation currently provides, an intention to include all gathered in the worship in some way, a commitment to excellence (all giving their best for God), and most of all a grounding in the liberating Word of God. I am an advocate for contemporary worship because I believe that many congregations who are struggling to bring new life to their communities may actually find that they can present a more contemporary style better than they can their current one. The question for a congregation to decide is which forms best allow for excellence in worship for their community. In conclusion I would say that I long for the day when modifiers like contemporary, traditional, relevant, emerging, ethnic and liturgical are simply omitted when speaking about the worship we bring. One of the things we do other people to degrade their dignity is to make judgements about them and place them in categories of our own creation. Call me crazy, (some have) but I believe really great worship ought to be contemporary and traditional, relevant and timeless, ethnic and universal, emergent and liturgical, profound and joyful all at the same time. Impossible you say? Well I don't think so. When a diverse people gather together at the foot of the cross of Christ and have an encounter with God, amazing things can happen with new things and old. Whatever worship style or tools you advocate, may they be blessings for you to help reach people with the Gospel of Jesus Christ. ¹-Theodore G. Tappert, The Augsburg Confession : Translated from the Latin (Philadelphia: Fortress Press, 2000, c1959), 32. ²-Martin Luther, vol. 53, Luther's Works, Vol. 53 : Liturgy and Hymns, ed. Jaroslav Jan Pelikan, Hilton C. Oswald and Helmut T. Lehmann, Luther's Works (Philadelphia: Fortress Press, 1999, c1965), 53:196.